The League of Legends scene with the last three weeks has had quite the upset in the NA Spring Split. Immortals finally experienced their first loss to CLG breaking their massive winning streak. Cloud 9 was also taken down by CLG with the same strategy that ended up dethroning Immortals. 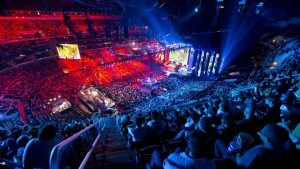 And that was just the week before IEM Katowice (Congrats to SKT TI on winning). Following week had too many close calls for C9 and Immortals fans. During week 8, Renegades had a fantastic game against NA poster-child TSM. It was a relatively short game, but seeing Renegades come together and outplay, out farm, outkill, and control the entire game was something to be had. 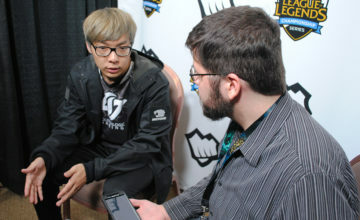 TSM has had a somewhat inconsistent showing this year but overall they have been doing well. Until Renegades showed up. Yellowstar was a cornerstone of Fnatic’s success in the EU LCS. His ability to read a map and guide his team to take objectives is among the best in the world. Renegades really put that in check in their game. It all really came down to a fight at baron where Renegades was able to kill two of the TSM carries with not losing a single member. They began a push through top lane taking a tower, but TSM kept rushing in without a full team. Renegades continued to push with their empowered minions. Taking down TSM members left and right. At one point, it appears that REN was going to back off, but they stay and end up taking down the nexus due to a numbers advantage, zoning ability, and TSM’s lack of team fight synergy. It was easily one of the biggest upsets of this season. Renegades is currently in the #10 spot but that win got them 1 step closer to the #9 spot. 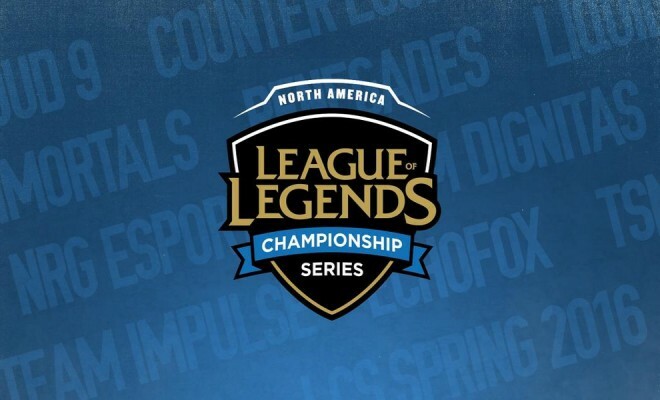 The second biggest surprise of week 8 was Dignitas v Echo Fox. 67 minutes. Eight dragons, four barons, 2 inhibs down, and a solo inhib turret. Dignitas was ahead by all means. From kills, to overall gold, to objectives. But it was Echo Fox who ended up winning the game. It was living proof that anything can happen in League of Legends and that small victories add up to massive wins. Echo Fox never gave up and those small mistakes DIG made ended up costing them the game. Immortals’ game vs Dignitas on that Sunday was rather incredible by DIG’s standards. Coming off that unbelievably disappointing loss to Echo Fox, DIG had something to prove. It started to shine vs Immortals where they had the first 4 or so kills in the game. They began to take towers and objectives with efficiency. The game was in their favor. However, history repeats itself and DIG ended up throwing their lead away with poor positioning and cocky gameplay. IMT capitalized on the situation and they came back mid game and closed the match out with blinding efficiency. Week 9’s showings were impressive for a couple teams. CLG and REN showed promise. While Immortals had an easy week for them, C9 looked to hold their #2 spot. CLG wanted that second place, and they got it. CLG pulled through and picked apart the C9 defense with counterplays involving better positioning for team fights. Team fights win games, and CLG certainly showed an ability to adapt. Renegades really wanted to stay relevant. Their victory over TSM in the previous week had them on…Cloud 9. Their confidence helped them soar through with some wins of their own, but unfortunately were not able to prevent them from getting knocked out of the bracket. They were one spot away from going to Vegas. But hopefully this experience will help them grow as a team and they can come back stronger. So what does this mean for Vegas? Unfortunately Renegades, TiP, and DIG will not be competing in the playoffs in April leading up to the championship in Las Vegas. But it is sure to be an interesting one regardless. 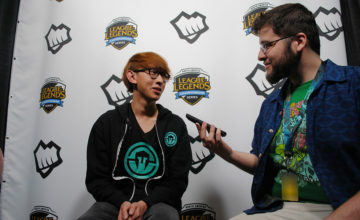 Immortals started to falter some during their games with CLG and C9. I think a major factor of why they were winning is simply because they are a new team. While the players are no strangers to eSports their synergy is something no one has ever experienced. Therefore Immortals were able to catch plenty of teams off guard. They also never strayed too far from their own playstyle. IMT didn’t show much variety in gameplay/team play and managed to only lose once. If it isn’t broken, no need to fix it applies here but I feel like IMT have far more up their sleeve. 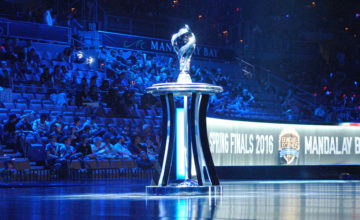 You never want to show much during the Spring Split before the finals. You save the really good team comps and play ideas for finals where it really matters. Who will win big in Vegas? Well if you look at the spring split numbers/standings it would be safe to assume one of the top three will make it. As an Immortals fan I want to see them win it all. People would put down players like WildTurtle on TSM for being bad and a contributing factor of why they lost. So watching those people eat crow when he wins the championship would be fantastic. However, I feel as though CLG is a big wildcard. Not many expected the team to do this well. A lot of hype was on C9 and NRG Sports to be the big contenders against Immortals early on in the split. I wish I could include TSM in this discussion more confidently but I find that difficult. The team is good, they have great players and I feel that Yellowstar is doing incredibly well with DoubleLift. But Svenskeren is the problem child of the team. Bjergsen is always a top performer and Hauntzer is straight up a main reason why TSM has been winning games. To say it is impossible for them to win is an overstatement. Anything can happen during playoffs. I feel as though NRG Sports is too new and too unfamiliar with the NA meta to make it through play offs despite doing well against some of the higher ranked teams. Liquid also shows promise but I can’t see them getting further than 4th place. Echo Fox is the team that is just happy to be here. Their win against DIG helped keep them out of the bottom three and despite it being spearheaded by Mid Laner Froggen, he can’t compete with players like Pobelter, Bjergsen, and Jensen. I want to see Cloud 9 do well, C9 has always been part of the NA Holy Trinity of CLG, C9, and TSM for NA Champions. Last year C9 was showing massive promise until they dropped the ball near the end and never made it to worlds. I think C9 is a great team with solid players, but history shows that they like to give up momentum after big wins. To be honest, at the end of the day, I can still see an Immortals vs C9 finals in Vegas. I think CLG is more of a flavor of the week win since they didn’t do well until closer to the end of the regular season. C9 is not worlds ready though, and it is too early to tell if Immortals is ready to take on teams like Fnatic and SKT T1. The last three weeks of the regular season showed a lot of what teams have to offer and I am excited to see where this goes. I won’t lie, I am more hyped for NA this year than all other years previous.